The original brake Caliper's often seize causing you VW to via to one side during braking, this is because one of the caliper pistons has seized, repair of the old caliper is often expensive and at these replacement cost why would you. 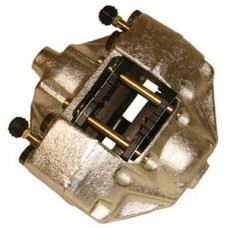 The Brake caliper also comes complete with brake pads. We recommend that you replace both caliper at the same time to unsure even braking.